In 1974, when Fred Hill set out to create a place of safety for families going through a medical crisis, McDonald’s stepped up. Since the partnership first began between Ronald McDonald House Charities and McDonald’s, local owner/operators across the world have been supporting the charity. Our chapter, Ronald McDonald House Charities of Alabama was founded in 1979 in part by a local McDonald’s owner/operator, Max Cooper. Since his passing, the local McDonald’s Co-Op’s have continued the example he set so many years ago. Our House in Birmingham has 41 guest rooms, but the need calls for more than that. We are embarking on a mission to keep more families close to each other and the care they need in Birmingham. Our campaign, Healing Together, will allow us to do just that by expanding our House from 41 rooms to 73 rooms. Healing Together: The Campaign to Expand Our House has a goal of $7.5 million. 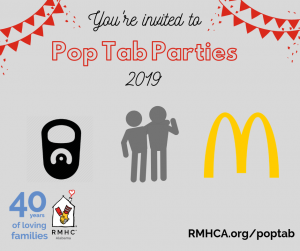 McDonald’s regularly donates a penny per Happy Meal purchased at local restaurants, but for the Healing Together campaign, they are also giving based on french fry purchases. “The Central Alabama McDonald’s Co-Op is donating a portion of every french fry sale to the Ronald House up to $500,000. The McDonald owners are very supportive of the House and we are proud to be able to make this contribution,” David Neisler, Central Alabama Co-Op President said. McDonald’s is our mission partner, but it is the local individuals who represent the company that continue to support our House with such heartfelt enthusiasm. In order to break ground in early 2017 as planned, funds are still needed. Those who wish to donate toward the Healing Together campaign can contact Kathy Robson, RMHCA’s Director of Development at kathy.robson@rmhca.org or (205) 638-7258. You can also learn more or give online at www.RMHCA.org/expand.